A middle-of-the-night call tipped me, a reporter, to a multiple death situation about a mile from my home. Sleepy-eyed and thinking it was probably something like a natural gas leak, I drove the short distance to the scene and to the start of a decades-long journey concerning the Hendricks family murders. 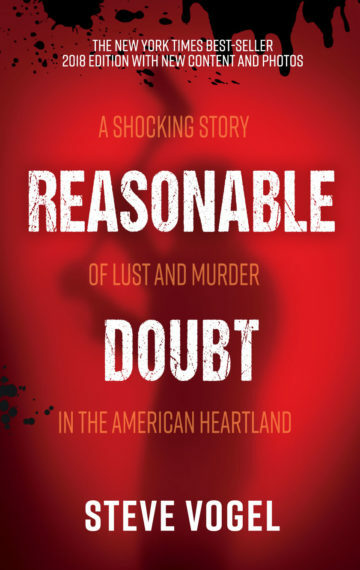 In Reasonable Doubt, I chronicle the deaths of a young mother and her three children, the investigation into their ax murders and the trials that followed, allowing readers to make their own decisions about David Hendricks’s innocence or guilt. The book became a New York Times best-seller and part of the St. Martin’s Press True Crime Classics library. Then in 2018 I updated the book with new information, additional photos and what I call “interesting intersections” that have revealed themselves in this tragic story. Just over half the reviews on Amazon give it 5 stars on a 5-star rating scale. Readers often comment they must continually remind themselves that this story is real, that Reasonable Doubt is testament to the fact that truth is stranger than fiction. It’s also been used in college-level criminal justice courses to explain and illustrate the legal concept of reasonable doubt. I invite you to read the first chapter at bookbaby and also explore the dozens of audio and video clips and documents I’ve posted on this website about the case and the book’s development. I welcome your comments and questions. I think you’ll find it all quite absorbing and maybe even cause for head-scratching.